This Crown can be customizable for colors. Please make request at time of purchase or I will make in Color combo pictured. Flowers are mounted on Natural Jute rope. 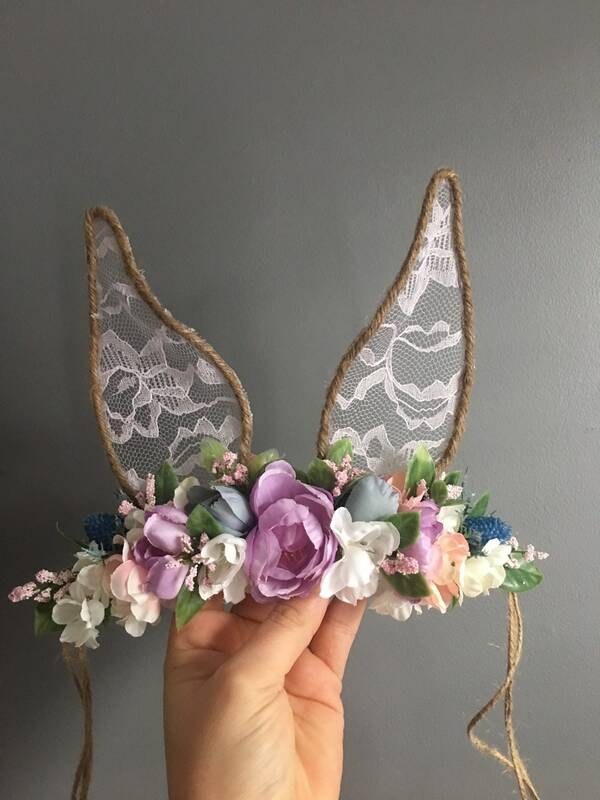 Ears are made from Wire and lace. Back of flowers are covered with felt for extra comfort. 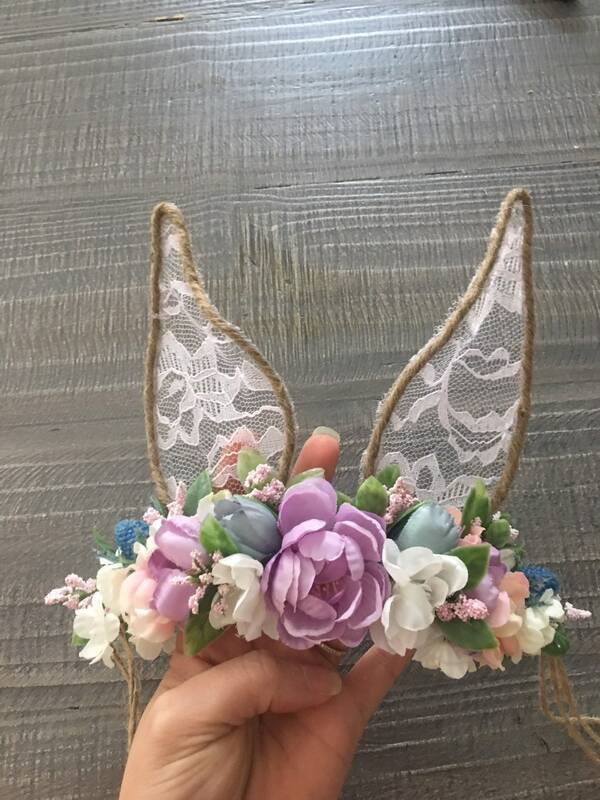 This Flower Crown is perfect for 1st birthday, make believe play, or photo shoots. This is absolutely adorable. I can make this in many different color combos. Just request colors if you have something specific you need.